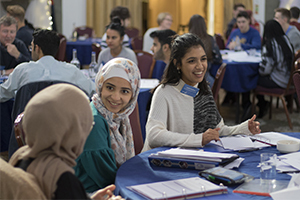 SELA Bootcamp is our residential induction weekend for new members, providing a chance for new recruits to get to know each other, and to begin reflecting on their personal strenghts and areas for development, with the support of mentors from industry and academia, as they start their SELA journey. Here, three members of Cohort 2018 reflect on the experience. Upon arrival at the secret location for our Bootcamp it was impossible not to be left awestruck by the unrivalled levels of grandeur and professionalism presented to us. For me, one thing was particularly clear. SELA meant business. Throughout our stay, we were spoilt with delicious food, serving as the perfect companion to stimulating conversations over fine wine with our experienced mentors. 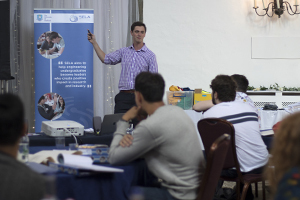 Training sessions were presented effectively and with professionalism by an array of highly qualified guest speakers. The sheer prestige of the Bootcamp was enough to give every budding engineer a tantalizing glimpse of just how successful they could be. Dreams of managerial positions, networking opportunities and global travel began to tease my mind and the notion that I, a young student, could one day lead the next generation of engineers started to become an exciting prospect. 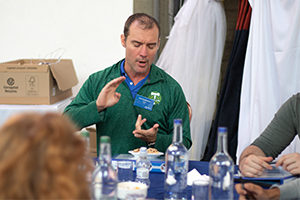 Naturally, the wonderfully lavish nature of the weekend demonstrated just how much SELA, and its industry sponsors, including Bootcamp supporter Reece Foundation, was investing in us, and I started to feel an overwhelming sense of duty towards the programme and its members. My eyes were opened to what can be achieved when potential isn’t wasted and I now look forward to seeing where the rest of my SELA journey will take me. If there is anything this Bootcamp has revealed, it is that my time with SELA will be well spent. What a weekend it was! I honestly could not believe what was available to us. The mentoring provided by SELA was second to none. Several of SELA’s industry partners, including some SELA Graduates, shared their knowledge and wisdom with us, providing incredibly useful and constructive criticism, showing us where our strengths and weaknesses lay. 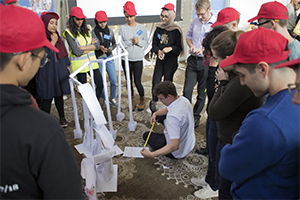 There were many opportunities to work with different mentors during each activity, providing a new viewpoint and a different insight each time. 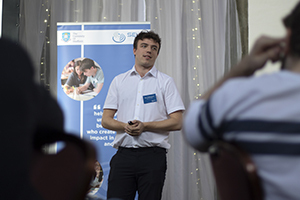 Two mentors who I worked with were James Featherstone and Neil Hopkinson both of them gave very inspiring and helpful advice, showing us where we could take our SELA training and how to make the most out of our experiences with the programme. Another name to note was Dan Habbershaw, a member of SELA Cohort 2017, whose recent experiences with the course showed me that so much is possible if you just push yourself. Not only did they offer great career advice but also very wise life advice. Each and every one of them was very down to earth, humble and more than willing to share their knowledge and experience. For example, Neil showed me where my strengths and weaknesses in presenting were, some of which were quite surprising and ones I’d never even noticed before. The many anecdotes and stories they told us instilled a great drive in me to go out there and be the best I can be, and they showed us that there is so much more to engineering than technical ability. Each skills session was a reminder that we could always improve our current selves. I had hoped that at the end of the 2 years of being with SELA, I would have mastered such a unique skillset. I was more than grateful to have strengthened certain skills at the end of this beneficial Bootcamp. 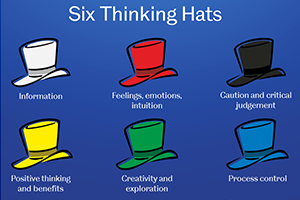 The workshop ‘Six Thinking Hats’, delivered by Ali Riley, was something I had never come across before. It taught me how in decision-making, you need to look at a problem from various perspectives, including your intuition and gut feeling. It was an interesting take on how to approach a problem, one which I will be using in the future. communication skills to the test. 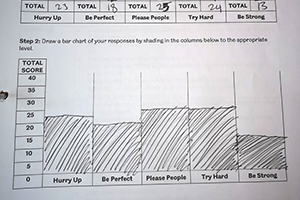 The workshop ‘Working Styles and Drivers’, delivered by Head of SELA Gary Wood, was particularly useful for me because I got a glimpse into what type of worker I am; a mix between a ‘try hard’, ‘please people’ and ‘hurry up’. A ‘Try hard’ tends to tackle things enthusiastically and puts a lot of effort into the task initially. However, their enthusiasm tends to wear off before the task tends to completion. A ‘Please people’ is someone who is tolerant and understanding, but sometimes fails to speak out. A ‘hurry up’ is someone who tends to get things done in the shortest amount of time. They often dive into the task with minimal preparation with the aim of finishing. Now that I know what sort of team player I am, I can work on improving my performance. I really enjoyed the ‘Presentation Skills’ workshop delivered to us by Mike Portnell. The activity where we had 2 minutes to speak about a random topic was an enlightening and torturous process. I realised that I know way too much information about Planet Jupiter, and that I do have the confidence and ability to present a topic with minimal preparation. All of the workshops allowed us to take away something unique, and I’m glad to have learnt so much in the space of a weekend.